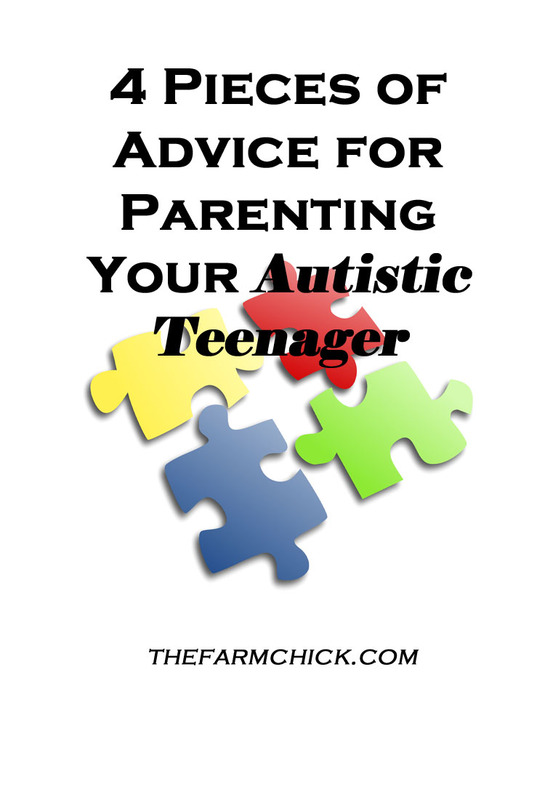 Parenting an autistic teenager is a whole different ball game than parenting a little kid. Hormones go haywire, they get big and strong, and things just get harder. It kind of comes as a shock, really. But nobody tells you that when they are first diagnosed as toddlers or preschoolers. Their future as adults starts to stare you down and it can look downright scary! How will my kid live on their own? Will they be able live on their own? What happens when they are bigger than me? How do you get help and services? What if they can’t tell me what’s causing behavior changes? About the time Reece turned 12 1/2 things started going down hill. I know it was puberty related, but we didn’t know what to do about it and how to respond. Reece’s speech is minimal (he can talk, but rarely uses full sentences and doesn’t always answer questions) so he couldn’t tell us how he was feeling or what was going on. School took a nose dive and by the time he was 14, we were in meetings every two weeks to try to come up with solutions to the problems. Also at this time, he started becoming very physically abusive towards me. It was a dark, dark time and I often felt very alone. So, what changed? And what advice would I give to other parents of autistic kids? After much, much prayer (deep, heartrending prayer that often ended in tears), God opened a door and presented a solution to us. We were able to get him into an awesome school in Wichita (45 minutes north of us) that works specifically with developmentally disabled kids. Reece’s turnaround has been miraculous! We still have our moments, but overall, it’s been amazing! I know not everybody has the resources nearby that we are blessed with, and we don’t take this gift for granted! 1 If you don’t like the direction school is going, do not be afraid to call a team meeting and work on changing it! We happen to belong to a great, but small, school district, who have very caring and concerned teachers and staff. They have always gone out of their way to ensure that they are giving Reece their best, even though he’s a one-of-a-kind case! When school started NOT going well (an understatement, really), his team brought up the idea of looking at educational possibilities elsewhere. I didn’t realize that was even an option. The school he’s in now is a private school that we could not afford in any way, shape, or form, but our district pays for it and transports him to and from. He’s still considered a student of our district. We live in Kansas, so I have no idea how this works in other states, but it never hurts to ask! 2 Find out what adult services are available in your area and get on the waiting list by the age of 13. That may sound completely premature (how do you even know what services you might want or need 7 years in advance?? ), but in our state, there is LONG waiting list (last I knew it was almost 10 years). The local school psychologist got me in touch with the proper organization for our county and we went through the process of getting Reece on the list. At this point, we don’t plan on using any adult services (housing, adult daycare, etc. ), but you never know what things will be like and we want to be prepared. Also, if something happens to Jeff and I, we want to make things as easy as possible for Reece’s guardians (right now his guardians are close relatives, but eventually it’ll be Elisa or Lindy). If Reece ages out of the school system and we don’t need anything, nothing changes with Reece’s spot on the list. Once he’s an adult, we will have the option of using any services we want/need at any time. If we didn’t have Reece on the list, and we decided we needed services, we would be put at the bottom and might have to wait years before we could get anything! 3 Make a will and think about how any future inheritances may affect your child’s ability to receive services later. In our area, private pay for the local services is not an option. Originally, our will was set up so that the farm would be split 3 ways between the kids. Well, if Reece were to inherit his portion, it could negatively affect his options for adult services. We changed our will, so that our girls split the farm 50/50, with the understanding that they will be kind to their brother, and do what makes the most sense for him. Eventually, when Reece turns 18, we will have to update our will again to make us (his parents) his legal guardians. We figure as time goes on, we’ll always update things to make the situation the best for all 3 kids. We want to make Reece’s care be as painless as possible for our girls. 4 Pay special attention to extreme mood swings and note the weather, food consumed, etc. When Reece’s temperament changed suddenly, I chalked it up to bad behavior and choices he was making. I would tell him “There’s no reason for you to act like this, so straighten up!” Yeah, that did a lot of good. One day, my sister suggested that maybe Reece was suffering from weather-related headaches. She started getting them about puberty, and living in Kansas with our wild weather and constant barometric pressure changes, causes her problems. So, I started paying attention. If Reece started acting out suddenly, I would check the barometric pressure and send my sister a text. And sure enough, her headaches always corresponded with Reece’s behavior. We started giving him a pain reliever and 30 minutes later, he’d be back to his happy self. As time has gone on, he’s gotten better about telling me that his head hurts and he needs ibuprofen, but he doesn’t always communicate it. I do not ever get headaches, so this was just not something that was on my radar as a possible reason for his extreme mood swings and bad behavior. He also gets regular chiropractic adjustments (which solved his sleeping issues years ago!! ), which also helps. I hope this was an informative post for you! The teenage years can be scary when you have “normal” kids, let alone a special needs child! Just know that you’re not alone and don’t be afraid to seek out services or to think outside the box. Talk to your school’s staff about resources in your area or find other parents with older kids (which I also did! ), and ask them for their advice. Do you have any other advice you could add to my list? Did you notice changes in your autistic teenager?